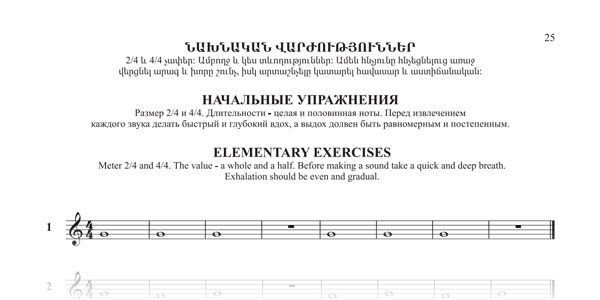 Section one of Armenian Duduk Method contains around 130 pieces of duduk sheet music in the form of exercises, etudes and songs with increasing difficulty that challenges the student to learn more. When certain level of mastery is reached Section two features over 130 pieces of duduk sheet music from various genres allowing players to built their music repertoire. Book opens with elementary exercises for the absolute beginners. These exercises will help beginner students to correctly play your first notes and make your first sounds correctly. Always start slow and make sure you play the notes correctly before moving to the next note. Take your time and practice each note with care and diligence before moving forward. 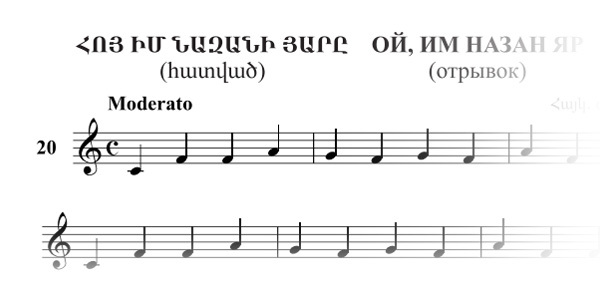 Hoy, Im Nazan Yar (Arm: Հոյ, իմ նազան յարը) is a popular Armenian folk song. An excerpt from the piece allows the student to play a nice and melodic song and practice several notes in the scale of C Major (in duduk scale). You can listen to the song before starting your practice and have a better feeling of it. Follow this link to hear several interpretations of this beautiful song. 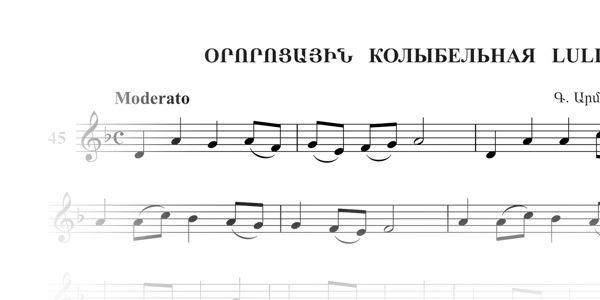 The famous Armenian composer Komitas created this beautiful children’s song almost a century ago. Hovhannes Tumanyan has written the lyrics. You can play it as a song or and exercise and hone your sixteenth note skills. 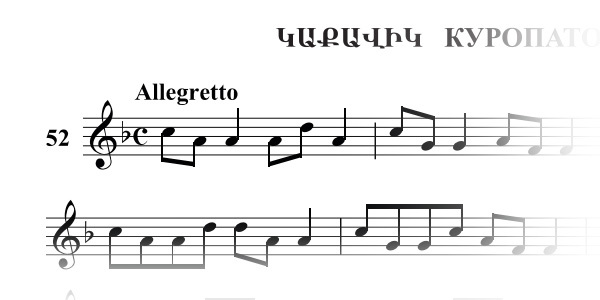 To correctly perform this tune, please see how professional duduk players perform it here. Lullaby by Gevorg Armenyan (Arm: Օրորոցային) is a beautiful cradle song, usually played for or sung to children. Mothers sing it to help their children sleep well and as an indication of their emotional intent and to maintain infants’ undivided attention. Lullabies existed since ancient times and can be found in many cultures around the world.